Camouflage Runner or Ski Hat Style Beanie for Adults handloomed with 100% Merino Wool ~ Men and Women alike enjoy our special beanies. The 1 by 1 rib band with lycra keeps this beanie snuggly on your head for those active sports! 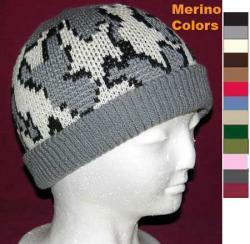 Great Cap for Hunting, Snow Boarding, Skiing, Paint Ball Sports and just for Fun! 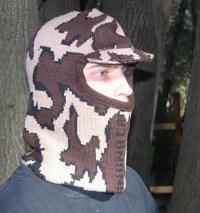 We know our clients love to personalize their Camouflage Ski Runner Beanie. 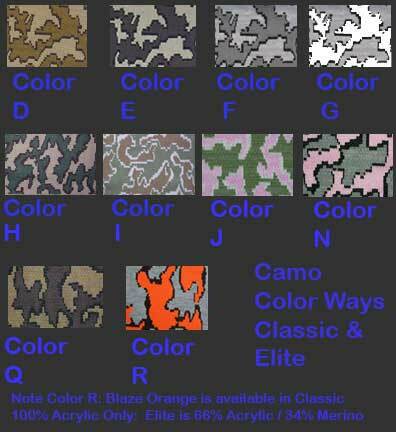 This is the place you can choose your own three colors to create your personal Camouflage Color Way. 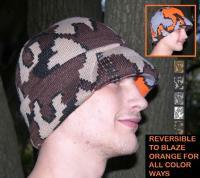 This is a Unique, Quality, Hand Loomed Knit Cap with lycra ribbed band. It is totally 'full fashioned' - this means it is not a 'cut n sew' product! The lycra makes a nice firm fit on the head and allows for the 'stretch' so the hat will fit most head sizes from child to adult. 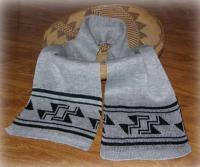 Notice how the ribbing can be folded up if you want it to fit closer to the head and above the ears, or fold the rib down to cover the ears for warmth. The silky soft merino wool adds even more comfort with its natural breathing yarn properties and wools ability to keep its warmth even when wet! Naturally insulating and moisture wicking. YOU WON'T WANT TO TAKE IT OFF! Choose between Size "One Size Fits All" or XLarge under Options Below. If you have any questions, or require a special size please email me at customer service/contact us. 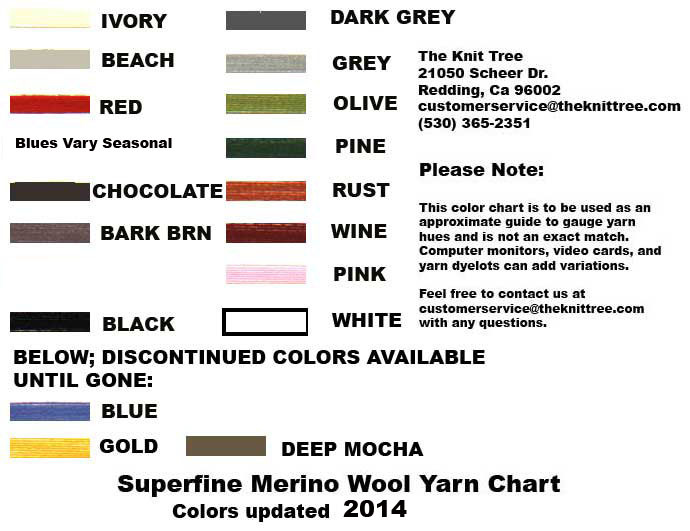 Remember since these are all custom knit, allow 3 days and we'll knit your size especially for you!